A HOME FOR ALL SEASONS! 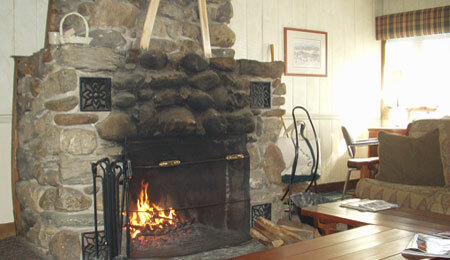 Our lodge is reserved for Garden State Ski Club members ONLY. If you are interested in joining our club, see our How To Become A Member page on how to join. 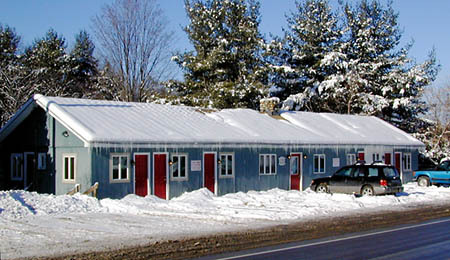 In the heart of Vermont’s Green Mountains, the Garden State Ski Club Lodge is nestled in the wooded rolling hills of rural Pittsford, just north of Rutland. 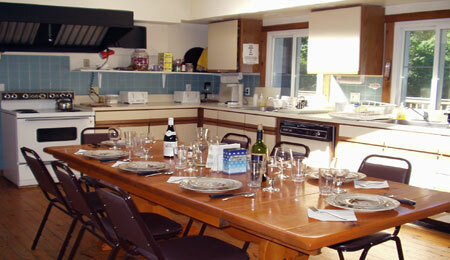 Owned and operated by the Garden State Ski Club for the use of its members and their guests, the Lodge sleeps 24 people in comfortable rooms of 2, 3 or 4 beds with a private bath for each room. The towering stone fireplace will welcome you into the large living room with the modern kitchen just beyond. French doors lead out to a large deck, overlooking the wooded property. The deck is the perfect place to watch for deer or enjoy a summer barbeque party around the gas grill or search the magnificent starlit Vermont sky for a falling star and make a wish. Less than a 4-hour drive from northern New Jersey, the Lodge is centrally located to take advantage of all that Vermont offers. From nearby Rutland and Woodstock, to Lake Champlain to the north, to historic Bennington and Manchester to the south, all in Vermont is within an easy day trip from the Lodge. Shares are available for members during the 20-week winter season or members can reserve beds for themselves and their guests for an overnight stay or a week’s vacation year round. For full details, see the shareholders or reservations policies. Whether your Vermont plans include a winter weekend filled with cross-country skiing or snow shoeing, or a warm spring day of downhill skiing on the last of Killington’s deep snow cover, or a summer vacation packed with golf, fly-fishing and biking along those scenic back roads, or enjoying the spectacular fall foliage while visiting antique shops and roadside farm stands, the Garden State Ski Club Lodge will be your inexpensive and comfortable place to enjoy the excitement and beauty of Vermont’s four, very special seasons. Betty Jean Downing is running a 5 day/4 night trip to Virginia Beach and Ocean City Maryland via motor coach. Monday, May 20 to Friday, May 24, 2019 Click here for more info.